Our front loading giant water slide is new for 2019 and is 186 feet long, in stock and ready to rent. 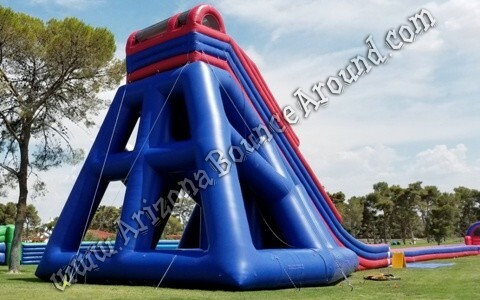 This giant water slide features easy to climb steps and a super fast sliding surface ready for any size summer party so rent it today. 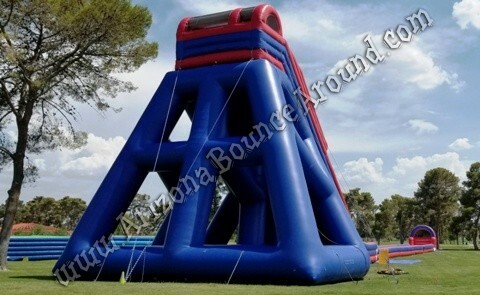 Add a foam machine to this beast by telling us to "Make it Foamy"
When it comes to big inflatable water slide rentals Gravity Play Events is the leader, with more big water slides than any other rental company in the United States. Why is this important? When you choose a rental company to provide big water slides for your event you want to make sure they have the experience with big Water Slides and know how to set them up and operate them.